If you are planning a getaway this autumn, then look no further than this week’s Longford Leader, which has a special Autumn Breaks 2018 pull-out supplement full of ideas and inspiration. The fantastic guide is brought to you by the teams behind ten of Ireland’s leading local newspapers and websites. The free guide is packed with all the information you’ll need for that perfect break. Within the pages of this very special publication, our dedicated team of local journalists have highlighted the very best things about their counties around Ireland, featuring the must-see attractions and those hidden jewels just waiting to be discovered. There are also handy lists of places to stay and lots of great photographs depicting the various counties in all their splendour. 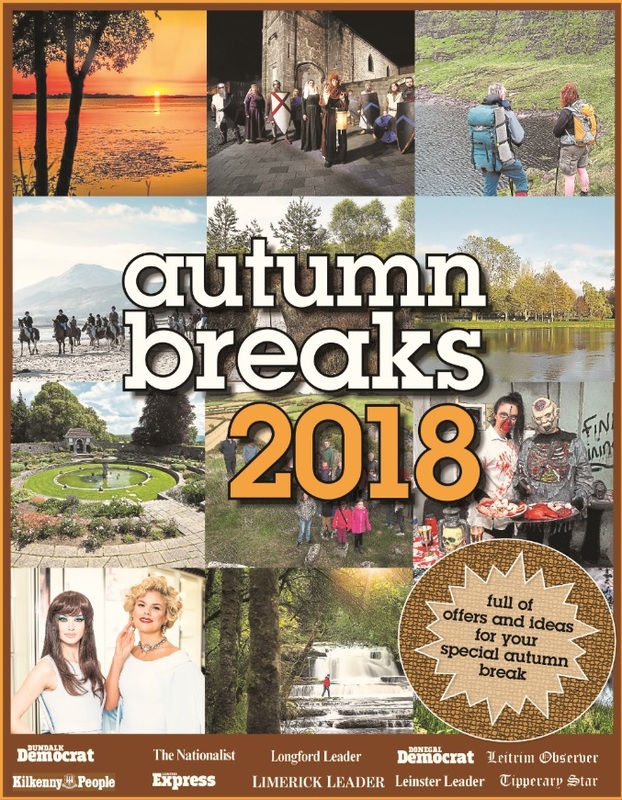 So before you take off this year, take some time out to read Autumn Breaks 2018 and find your ideal break between the pages. Autumn Breaks 2018 is published free with this week’s Longford Leader and is also available as an e-paper here.